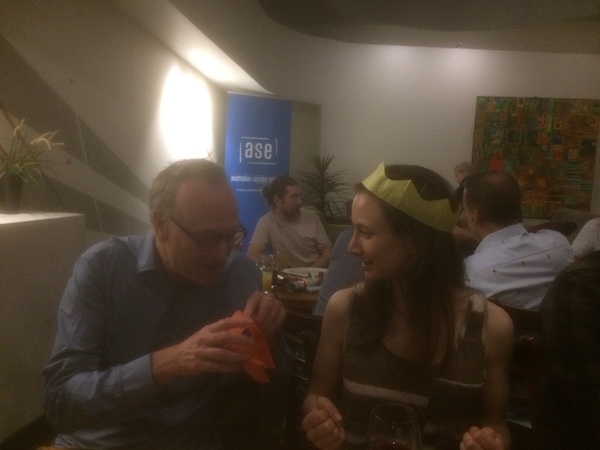 The Melbourne side of the ASE gathered at The Cherry Tree Hotel, Balmain St, Cremorne, Victoria, for the annual Christmas/end-of-year get-together. In attendance were around 20 Editors and Assistants from across the industry. It was good to see some new and our older members enjoy friendly chat and a few Xmas drinks. Ash Lucas generously provided some Christmas cheer to the group with some bon bons and candy canes as well as running the door prize. 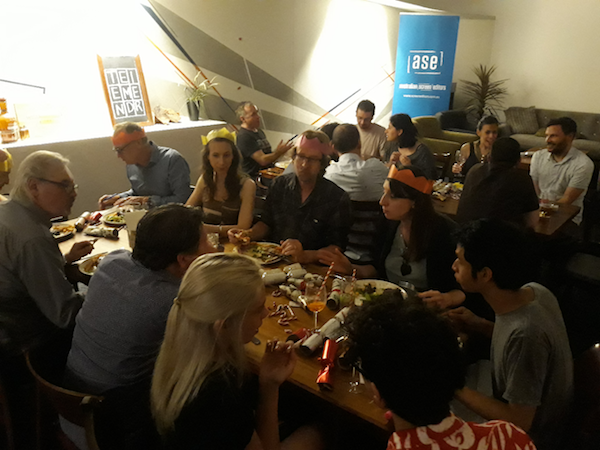 We all had a great time and look forward to an exciting 2019 with more events and social gatherings planned. From all members of the Guild in Victoria we wish you all a safe and happy Xmas, and see you all next year.